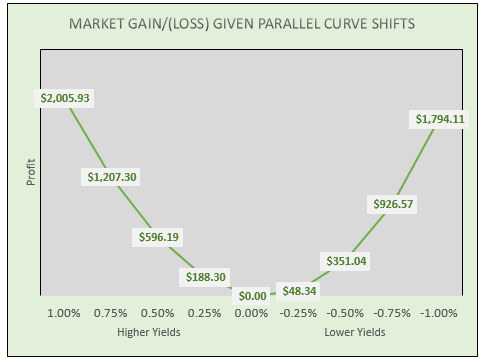 Note: Although this type of swap shows positive convexity at changes of + or – 25 basis points, it does not necessary display positive convexity for smaller yield changes. 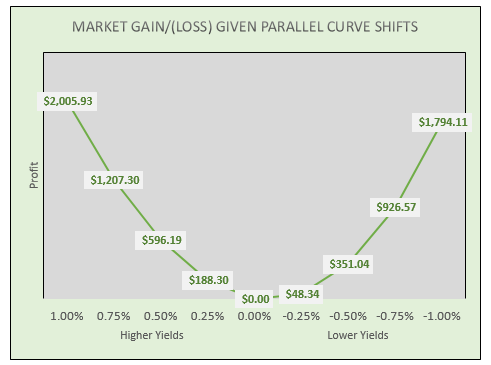 Like other swaps in this series, instantaneous parallel shifts, either up or down, will show a profit (positive convexity). 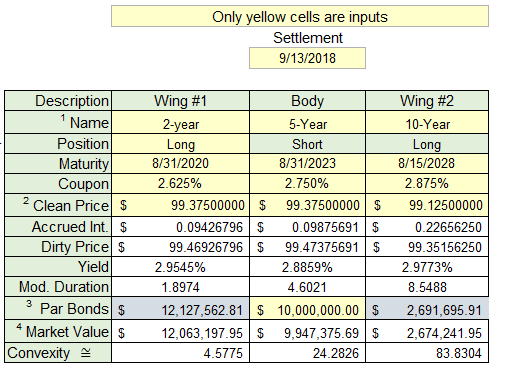 Unlike the Cash & Duration Neutral swap, this swap is not cash neutral and requires additional cash to initiate the trade. 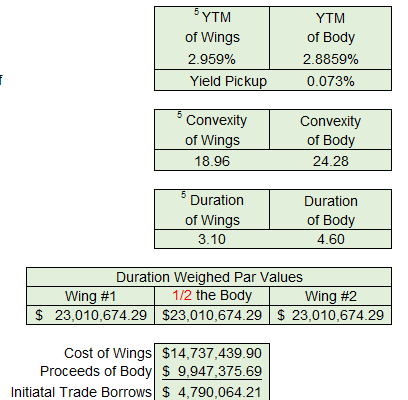 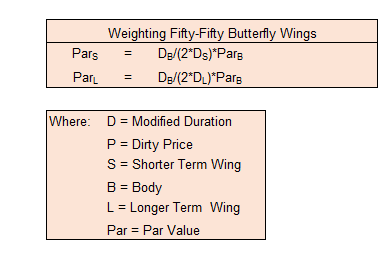 More likely be used to take advantage of arbitraging an expensive Body yield, relative to the Wings.